Full steam ahead! You will never be lost, even at night, with your trusty glow in the dark captain's compass necklace! 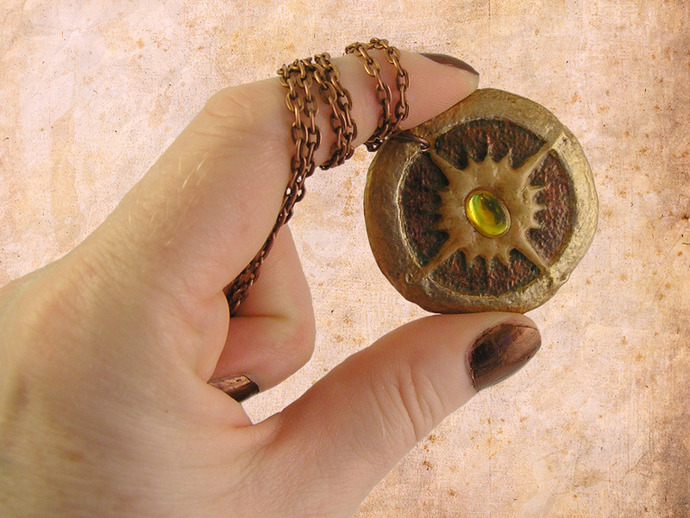 This gorgeous hand made Steampunk compass pendant is painted with shimmering bronze and copper with a yellow oval gem in center. Created from glow in the dark polymer clay. Pendant glows in black light or in the dark! !